It’s no longer just Silicon Valley type companies who embrace the trend. Remote employees, teams and indeed entire companies are popping up all over the country. But from small local cafes to huge industrial style buildings, where are the best places to co-work in America? Miami’s bustling coworking scene is continuously evolving, with new shared office spaces popping up all the time in various areas of the busy metropolis. With such a relentlessly competitive market, it’s no wonder that many coworking hubs aim at offering something a little extra to lure in new guests and clients. One of these hip and trendy features which many companies have recently adopted is a pet-friendly policy. LAB Miami Ventures is proud to announce the ten startups advancing as finalists for the Future of Logistics Tech Summit Pitch Competition on November 14, presented by goTRG. Miami’s innovative and creative spirit is evident in its the bright city and its hardworking people, many of whom are self-starting entrepreneurs. In an effort to help these workers find trendy but effective spaces, Miami is now home to several quite stylish co-working office spaces—here are our top 10 options. We are super excited to facilitate the office space to Grassroots Medicine, and we look forward to welcoming their wellness center to the neighborhood! Seatrade Cruise Global, the leading annual global business-to-business event for the cruise industry, has partnered with LAB Miami Ventures for the 2018 Future of Travel Summit startup competition. The Future of Travel Summit, slated to take place at 400 NW 26th Street in Miami, will gather startups, investors and global travel brands to share insights into what is driving innovation in the cruise industry, one of South Florida’s most dominant sectors. Leading international fashion house, Perry Ellis International is teaming up with LAB Ventures, and angel-investor network, AGP Miami, to launch Pitch to PERY, a search for the next great startup revolutionizing the fashion, e-commerce and retail industries. Developers from all over Miami congregate at The Lab Miami to compete in 48-hour Bitcoin Hackathon. Their mission: To write code that empowers the world. The LAB Miami and the Knight Foundation are partnering up to debut two new initiatives that plan on giving minority and women entrepreneurs the tools they need to fortify their chances of success: LAB.ID and LAB.Ventures officially launched Nov. 1. 23 of the Best Coworking Spaces in the U.S.
Where should you work? Try an inspiring coworking space near you. Miami’s got a startup funding problem. Corporations might be the fix. Ask any entrepreneur in South Florida what’s the biggest hurdle to their success, and the answer will almost certainly be access to capital. A powerful trio took on The LAB Miami. With LAB Ventures, The LAB will become Miami’s tech matchmaker. Thomas Tigre Wenrich, co-founder and general manager of LAB Ventures, tells Diario Las Americas about his commitment to inclusive entrepreneurship in the Latin market in Miami and introduces us to his entrepreneurs factory. It may be cool to use your mind to control your beer tap, and technology could help you do that. But what’s really more important: The instant beer — or using technology to make your brain healthier, stronger, better? The concept behind the Masters of Tomorrow Summit, the daylong conference and music event focusing on technology, design and music at The Light Box at Goldman Warehouse in Miami Wednesday, Nov. 30, is simple: bringing together smart people who have great stories to tell in a fun setting where they can meet, learn and, perhaps, nurture the next big idea. Bring together the maker of the brain activity measuring product Muse, the head of virtual reality for Radiant Images, the designer of the Ford GT, an expert putting big data to work in climate change solutions, and other entrepreneurs and academics in technology and design, and what do you get? A glimpse into the future of technology and design. The co-founders of Miami College of Design say the educational facility will be Florida’s first accredited college focused on industrial design when it opens in Miami's Wynwood. Miami’s Wynwood neighborhood, already a hub for artists, technologists and other creatives, will soon be the home of the new Miami College of Design. Thomas “Tigre” Wenrich is CEO of The LAB Miami and LAB.Ventures. Today Knight Foundation, an original investor in The LAB Miami, is announcing a new investment of $1.1 million to help expand The LAB’s programming and expand economic opportunity for South Florida’s entrepreneurs. The LAB Miami, one of South Florida’s co-working pioneers, on Tuesday announced expansion plans that include the launch of two entrepreneurship programs and a new CEO. The John S. and James L. Knight Foundation is investing $1.1 million to support The LAB’s evolution. Wynwood Defined to the Letter - The ABC's of Miami's Art District, features The LAB Miami. 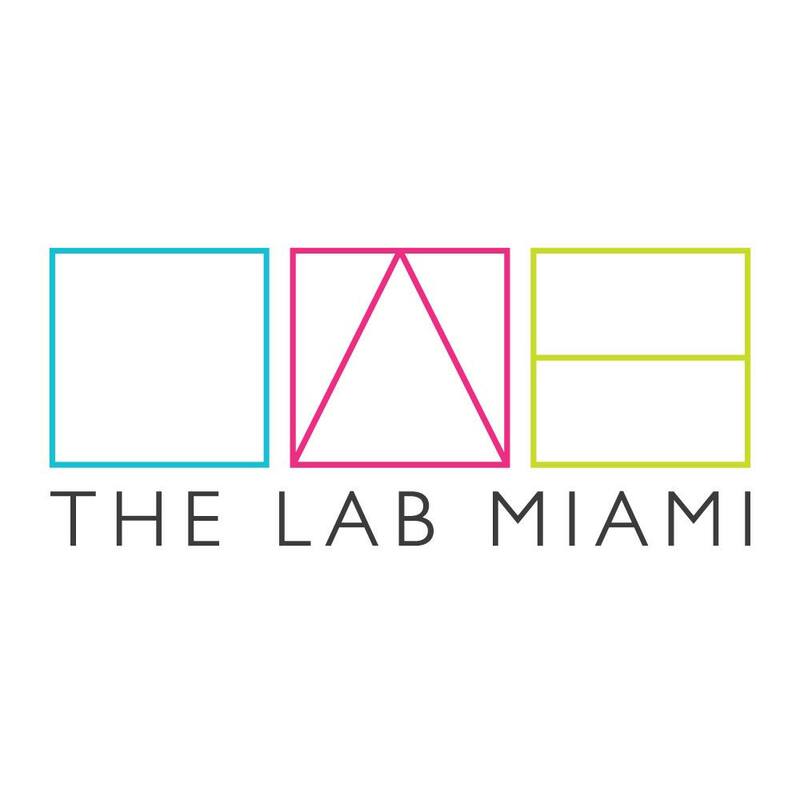 The LAB is Wynwood's original co-working space offering a creative campus for entrepreneurs. With beautiful surroundings and sunny weather year round, it can be difficult to get work done in Florida, especially when you work for yourself. CEO Alberto Perlman spoke to a tech audience about building and scaling the global fitness brand. We’re standing on the tiled rooftop terrace of Fernandez’s apartment in Coral Gables on a pink Miami morning. “My grandfather lived in this development,” he says as he rolls out a blue yoga mat. If passion and creativity are critical to success, South Florida’s future as a culturally rich metropolis is in good hands. That’s the takeaway from 300-plus nominations for the 2014 Miami Herald 20 Under 40 class of emerging leaders. Moving beyond Miami’s urban core, entrepreneurial spaces are opening up all over South Florida. Some are tackling untapped markets while others are focused on niche industries. In this Thursday, April 10, 2014 photo, Nelson Milian, left, Carrie Monescalchi, center, and Mai Sari chat as they work on their computers at The LAB Miami, a new tech focused collaborative space in the Wynwood Arts District in Miami. MIAMI — In a sunny, roomy office overlooking a vibrant bustling Miami Avenue below, Freddie Laker is putting the finishing touches on a potentially groundbreaking app that turns written text into video. You don ‘t usually think of Miami as the place for tech startups and social enterprises. But the co-founders of the LAB Miami are trying to turn the area into a place known as much for entrepreneurship as sunny weather and South Beach. “We felt Miami lacked the platform to retain its top talent and allow them a place to cultivate their businesses." In the short amount of time LAB Miami's been around, it's drawn quite a bit of attention -- and not just because it's housed in one of the trippiest buildings in Wynwood. It was a utopian scene. More than 80 folding chairs faced a chalkboard adorned with multihued verses as coworking campus The LAB Miami hosted a Friday night poetry and ballet commission as part of the O, Miami Poetry Festival.